Color: Amber to reddish, depending on how recently they’ve fed. Characteristics: Broadly oval and flat. Size: Adult bed bugs measure 3/16 inch long which is approximately the size of an apple seed. Found throughout the United States and the world, bed bugs are ectoparasites of primarily humans. They will also attack poultry, caged and invasive birds and various mammals, including rodents. They are often detected in hotels and facilities with high occupancy turnover. Unfortunately homeowners are encountering bed bugs in their homes more often. Bed bugs arrive on visitors and their belongings. They also travel on second hand items including used mattresses and furniture. An occupant of the home may bring them back from a vacation or a business trip. If they’re exposed to an infestation in a hotel, school dorm, apartment building or other commercial facility it may result in a problem at home. Documented reports of bed bugs in airplanes and public transportation are also a concern. What Time Of Day Are Bed Bugs Most Active? Bed bugs are nocturnal pests. During the day they hide and then at night they become active, emerging from their hiding spots to feed. Despite their name, bed bugs can be found hiding in more areas of your home than just the bedroom. Bed bugs will hide behind baseboards, outlets, window frames, under flooring, in the cracks of walls, in the cracks of wooden furniture, in stuffed furniture, behind picture frames, in linens, and of course in the cracks of or underneath of mattresses and box springs. No, bed bugs do not fly; they do not have wings. Bed bugs also do not jump, instead they move from host to host by crawling. Seeing actual adult bed bugs in your home. Noticing tiny brown droppings (feces) on mattresses and bed linens. Finding piles of exoskeletons that have been shed by growing nymphs on floors or under your mattress. In a large infestation you may notice a sickly sweet smell in the air of your home. What Kind Of Threat Do Bed Bugs Pose? Bed bugs are not known to carry or transmit disease. They do bite and while reactions to bed bug bites vary, some people experience small red welts that often appear in a line. This is often referred to as breakfast, lunch and dinner. Bed bugs are not dangerous but they’re certainly stressful and can be costly to remediate. Do I Have To Throw Out My Mattress If I Have Bed Bugs? No, you do not need to throw out your mattress, instead encase your mattress with a special bug-proof cover that zips over the entire mattress. Mattress encasement works to prevent bed bugs that may still be in your mattress from getting out, and will also prevent any new bed bugs from infesting it in the future. Bed bugs are extremely difficult to get rid of. With flat bodies that allow them to seek shelter in cracks and crevices, bed bugs are masters at avoiding detection. What’s more, they usually only come out at night to feed. Do-It-Yourself treatments are typically not effective in getting rid of bed bugs. And if misused or mixed wrong may be harmful to people and pets. 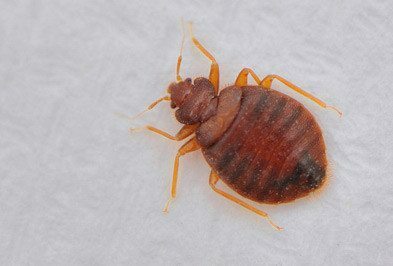 Contacting Holder’s at the first sign of a bed bug problem is the ideal solution.